[in] Device state variable that is being modified. This parameter can be any member of the D3DRENDERSTATETYPE enumerated type. [in] New value for the device render state to be set. The meaning of this parameter is dependent on the value specified for State. For example, if State were D3DRS_SHADEMODE, the second parameter would be one member of the D3DSHADEMODE enumerated type. Renders a sequence of nonindexed, geometric primitives of the specified type from the current set of data input streams. [in] Member of the D3DPRIMITIVETYPE enumerated type, describing the type of primitive to render. [in] Index of the first vertex to load. Beginning at StartVertex the correct number of vertices will be read out of the vertex buffer. [in] Number of primitives to render. The maximum number of primitives allowed is determined by checking the MaxPrimitiveCount member of the D3DCAPS9 structure. PrimitiveCount is the number of primitives as determined by the primitive type. If it is a line list, each primitive has two vertices. If it is a triangle list, each primitive has three vertices. When converting a legacy application to Direct3D 9, you must add a call to either IDirect3DDevice9::SetFVF to use the fixed function pipeline, or IDirect3DDevice9::SetVertexDeclaration to use a vertex shader before you make any Draw calls. Forces this enumeration to compile to 32 bits in size. Without this value, some compilers would allow this enumeration to compile to a size other than 32 bits. This value is not used. 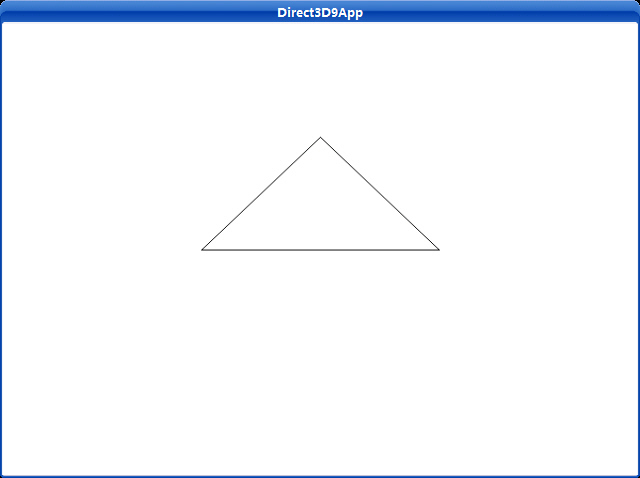 Using Triangle Strips (Direct3D 9) or Triangle Fans (Direct3D 9) is often more efficient than using triangle lists because fewer vertices are duplicated. Renders a triangle in wireframe mode. 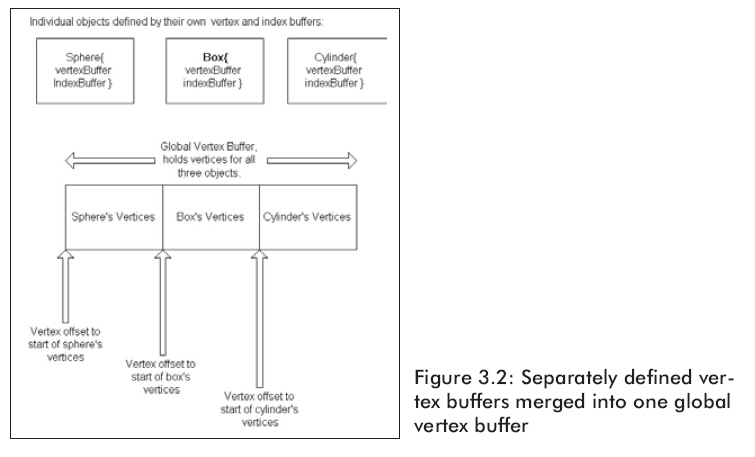 Demonstrates vertex buffers, render states, and drawing commands.